Last weekend was memorable and fun. We spent time with family and created lots of happy memories with them. We were truly grateful for everything. The hubby was back to school again on Saturday for his final stint in grad school. If things will go well, he’ll graduate in October. We’re both crossing our fingers on that. We drove home in Bacoor on Saturday afternoon along with my in-laws. We got caught in a heavy traffic on Coastal Road that we opted to go straight to Evia Lifestyle Center for dinner. My SIL Albie treated us to Racks to the delight of our tummies. We strolled around the mall for a few minutes before going home. I was happy to report that Evia now has a Krispy Kreme store! I heard more shops are opening soon which will surely excite shoppers. My husband, for instance, wanted to see more shoe salons. But I told him he could always shop online for shoes. Like he could browse through the new collection of Nike available at ZALORA. That is, only if he really needs to get a new pair of shoes! Our Sunday passed by quickly. 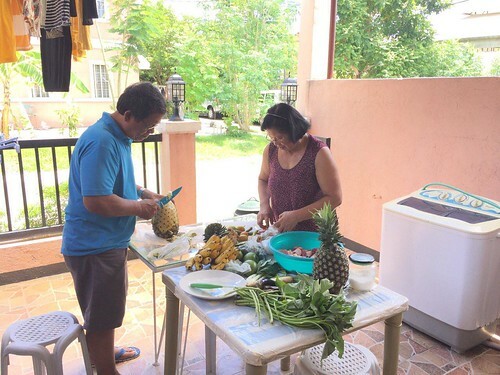 My MIL and my FIL took charge of tidying up the house and preparing our meals while the hubby did the laundry. As for my SIL and me, we made sure to get out of their ways so they could do their thing. In fairness to us, we did some tasks, too. Haha. 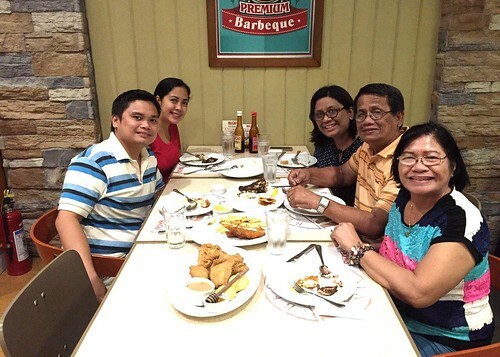 Before we knew it, it was time to go back to Manila for our family dinner in celebration of Father’s Day 2016. 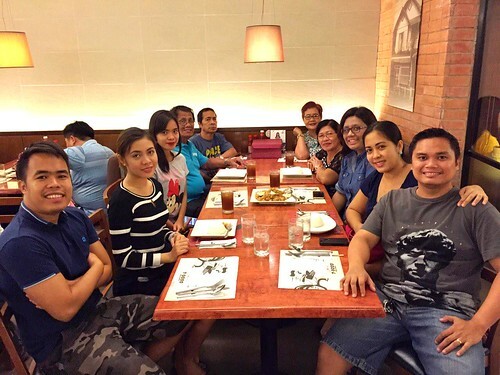 So, we met up with my side of the family at SM Manila and dined at Max’s. It was a full house in the resto and sadly, the food quality and presentation as well as the service got compromised. Some of the dishes we ordered were badly presented and our favorite Adobo Rice (new product) didn’t have lots of crispy pork chunks and wasn’t placed in a palayok like it used to. A dish we ordered didn’t arrive that we had to cancel it na lang dahil patapos na kami kumain. We didn’t complain anymore because the wait staff looked exhausted already and we had seen and felt they tried to provide everything we needed naman to the best of their ability. And based from our dining experience in the same resto in the past, they delivered well. In the end, what mattered most was the fact that our group of 10 had a great time dining together as a family on Father’s Day. 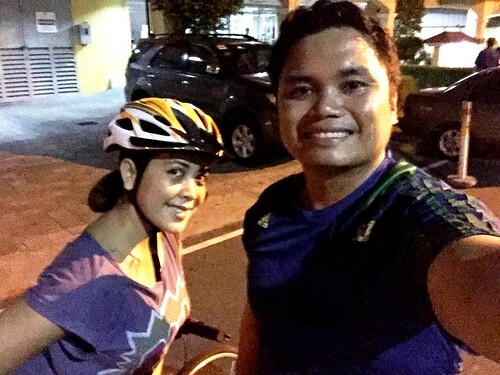 It felt good to burn some calories after eating like a glutton for two straight days. Haha. Happy Father’s Day! In fairness whole fambam ang celebration lage ah! Happy Father’s Day kay hubby! 🙂 Ours is also a busy weekend. Attended a wedding on a Saturday then movie on a Sunday. Hanep! It was so nice and decent of you to give the waitstaff a break. Some would have gone berserk and berated the staff because of the perceived lack of service. We’d be a better country (and world even) if people practiced empathy regularly. 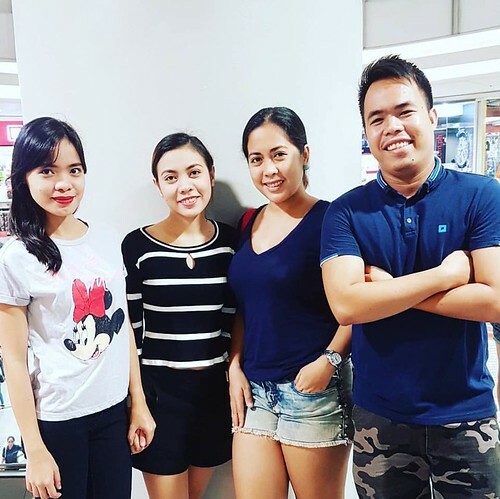 Super kamukha mo yung sister mo, the one beside you! 🙂 It’s difficult to make time for physical fitness, pero kailangan talaga dahil ang sarap nga kumain haha! 🙂 Happy week ahead! 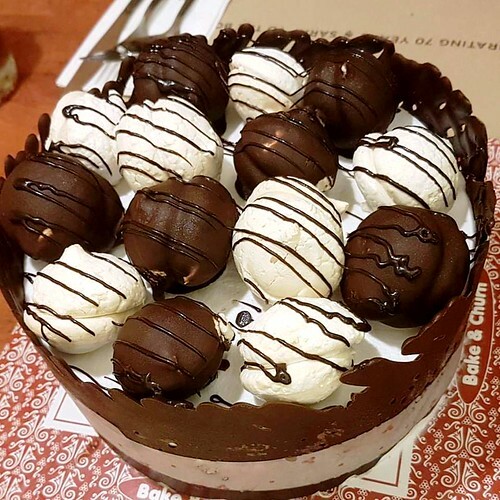 Ang sarap naman ng itsura ng ice cream cake.